Call Center Focus : Call Center Jobs, Open House, Companies, News and more. The site is created by Call Center Employees for Call Center Employees.Find the latest news, updates, Job Opening, Open House about BPO and KPO or inhouse sites. Newbies are also welcome. Concentrix a divison of Synnex Corp said that it would acquire Convergys for $2.43 billion cash and stock deal that would accelerate the buyers position in the industry. Throughout the years Convergys has delivered consistent quality customer service in different languages around the Globe. In terms of mergers Convergys has previously acquired Stream Global Services and Datacom Asian Contact Services. While Concentrix has acquired IBM Customer Care Business last 2014. Fortune 500 previous ranked CVG at 746 while SNX was ranked at 198. The deal would appear to be positive for it's owners and shareholders however, the main question is how will it provide a better value for the employees. Have you experienced the same scenario wherein your company was acquired by a bigger company? Share your thoughts in the comments section. After taking calculated risks, you have finally decided to leave your current employer due to health reasons, lack of career growth, or a greener pasture, etc. Just like you, I always look forward in receiving my back pay because it can be used as savings or as an additional fund that you can utilize while transitioning to your new job. 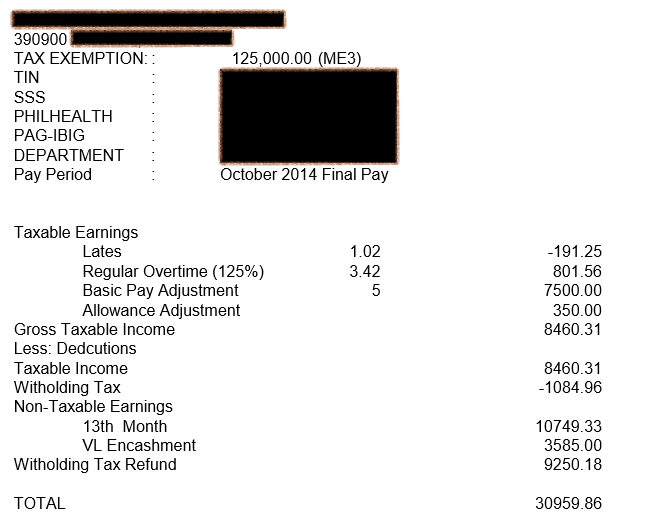 Computation of back pay may vary depending on your company polices however, the following items should be considered. 1. Last Salary – your last salary may be withheld and will be release as back pay. 2. Pro Rated 13th month pay. 4. Vacation and Sick Leave conversion (if convertible to cash). Aside from your last pay the employer should also release your Certificate of Employment, BIR Form 2316 and a release waiver and quitclaim that you need to sign to acknowledge that you received your last pay which releases the company of any obligation. Most companies will issue your last pay within 30 – 60 business days after your last day of work. However there might be some reasons why it’s delayed. 1. Your manager has not submitted the clearance to HR. 2. The signatory of your last paycheck might not be available. 3. Companies are aware that there is no provision in the labor code in relation to the period of payment of last pay which technically allows them to hold it off. Though, reason number 3 states that there is no provision in the law that covers the period of payment of last pay, companies should give it within a reasonable time or whatever is stated on the employment contract. In case the reasonable time has lapsed and you have documented a proof that your previous employer has not given your last salary, you may now file a complaint at the National Labor Relations Commission (NLRC) or Department of Labor and Employment (DOLE). You can also contact the BPO Workers Organization below which offers assistance to BPO employees. Did you encounter any delays on getting your last pay? 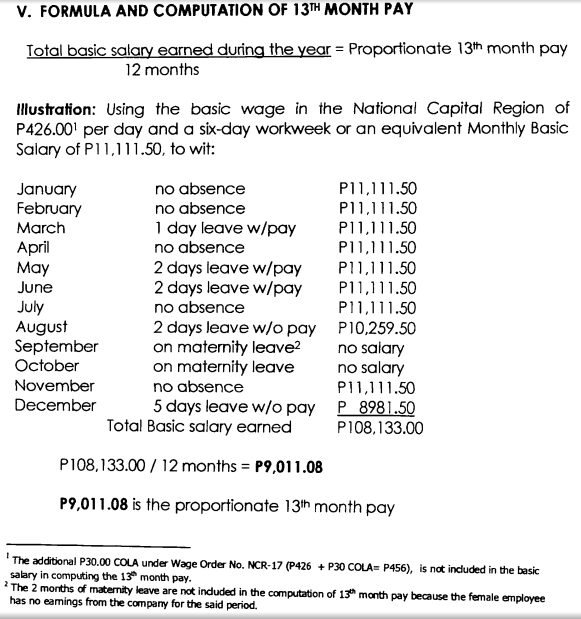 There are a lot of articles that have been published on how to compute the 13th month pay and I have read most of it however, I think it’s missing the actual calculator that can compute our estimated 13th month pay. The 13th month pay calculator that we have created would be beneficial especially for those employees who have been employed by the company for less than a year because, the amount of the 13th month pay will be pro-rated (will depend on the number of days or months of service). Based on DOLE’s Department Advisory the number of days for leave without pay should be taken into consideration. Our Calculator has used the formula above to compute your estimated 13th month pay. If you have been in the company for more than a year just replace the value of salary and the no of days for leave without pay then click on compute. If you have been in the company for less than a year replace the value of salary, month of hire, date of hire and no of days for leave without pay then click on compute. Note: You may consult your HR Personnel directly for queries about bonuses. Forbes.com Inc., has released the list of the “World’s Biggest Public Companies” it is the annual list of world’s largest public companies. 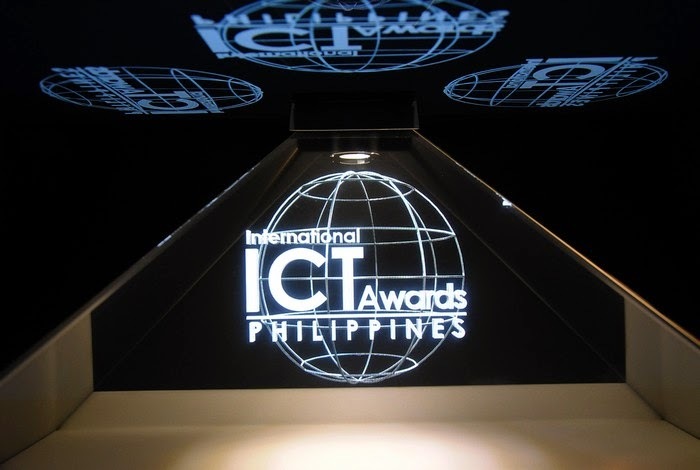 We decided to get the list of In-house and BPO Companies that have a regional office in the Philippines that made it to the list. We believe that the list would be a useful representation of top BPO Companies in the world since Forbes is one of the most trusted source for businesses and investment leaders. The list is an annual ranking of top 2000 public companies in the world which is based on four metrics: sales, profit, assets and market value. The list below contains BPO and in house companies with Philippine branches or subsidiaries. With a Global Services Center in Taguig and Cebu the parent company of JPMorgan Chase Bank N.A.-Philippine Global Service Center has emerged on the top based on Forbes’ list. The top positions have been dominated by in-house companies with businesses ranging from banks, oil companies, and Telco’s. In terms of the number of companies per country, the list mostly contains companies from the United States followed by outsourcing firms from India. Based on experience, in house companies could provide a better working environment and above the industry standard salary packages other perks may include profit sharing, stock options and retirement benefit plan. Issues like unapproved VL’s, mandatory OT or holding of lunch and break schedules may be minimal. The figures showed above may not be derived purely of BPO earnings however; the list is a clear indicator how large a company is because, the list is not measured purely on earnings. 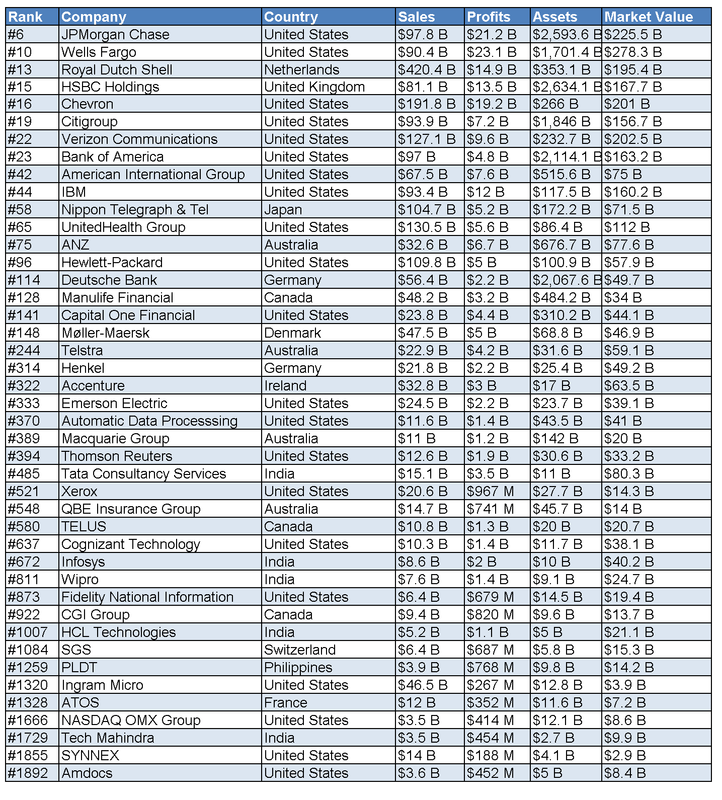 Is your company listed above? Are BPO companies prepared if the “Big One” strikes? We have been wondering if the industry has prepared a standard protocol to follow in times of natural disasters. To understand the participation rate of BPO companies, we decided to monitor social media during Metro-Wide “Shake Drill”. It was alarming to see that there were only few BPO companies that joined the vital event given the fact that it was done in daytime where it is considered as off- peak hours for most accounts. 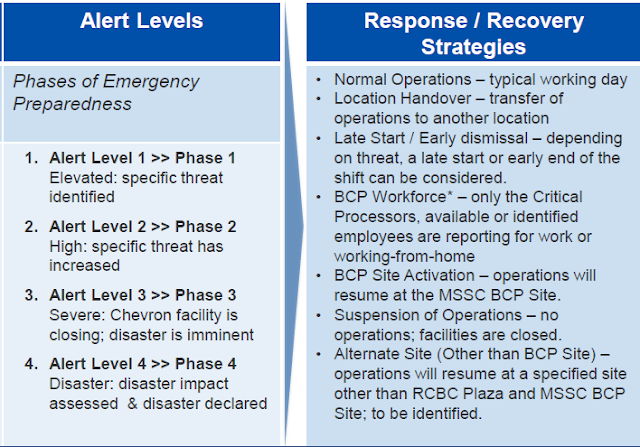 We understand that some companies are challenged in terms of BCP (Business Continuity Planning) preparation. In a survey by CCAP (Call Center Association of the Philippines) BCP implementation was one of the concerns. Would the survey mean that some BPO companies would rather risk the lives of their employees than losing their profit? Being ranked as the 3rd most disaster prone country in the world, it would be a no brainer if a company doesn’t have an established preparedness plan. 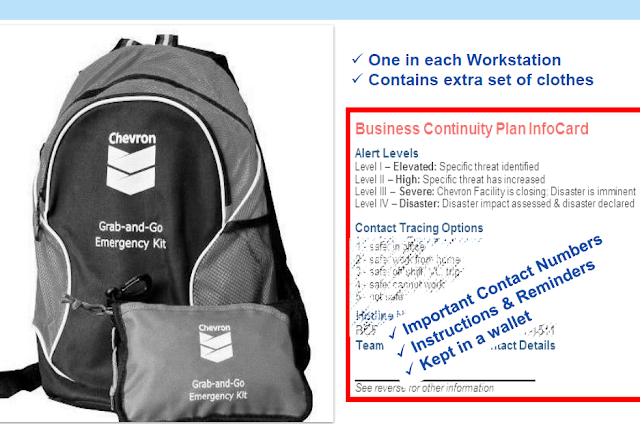 See how Chevron an In-house shared service company executes BCP to ensure the safety of its employees. 1. Depending on the alert level, the crisis management team decides if late start of work or early dismissal is needed. 2. 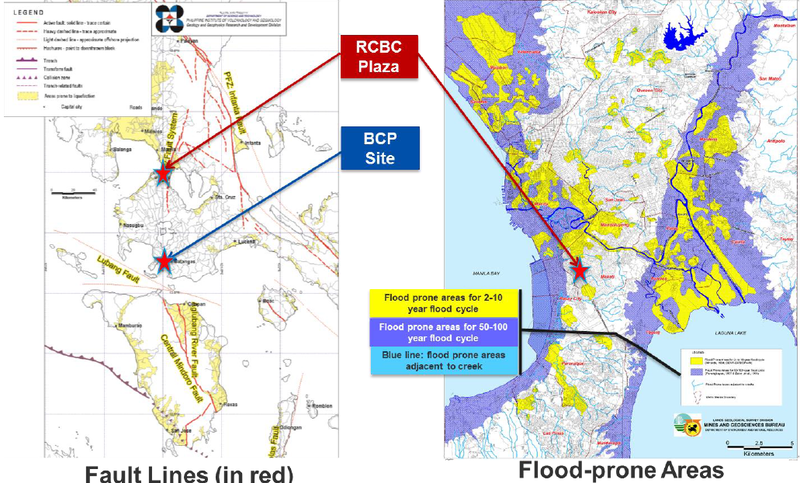 The location of fault lines and flood prone areas were identified and if needed BCP site will be used to continue normal operations. 3. On every disaster, all employees will be accounted for trough different modes of communication, a grab and go emergency wallet and bag will be provided as well. Having a business continuity plan in place ensures that people and processes have a plan and know the plan, this will ensure minimal impact to the business in case of disasters. 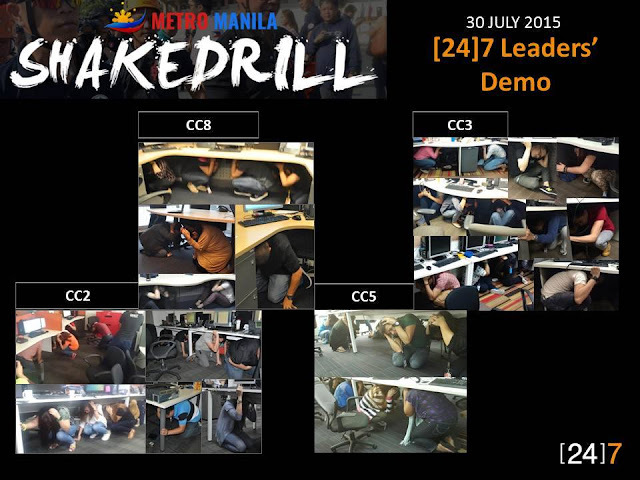 Here's some of the BPO companies that joined the Metro Wide "shake drill". Photos were gathered from Facebook. 1. 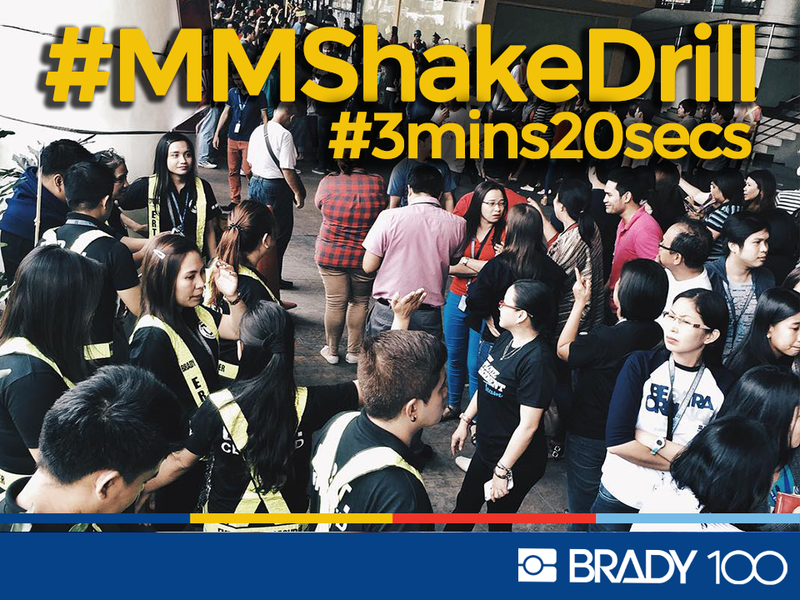 Brady Philippines - in 3 minutes and 20 seconds the floor was evacuated. 2. 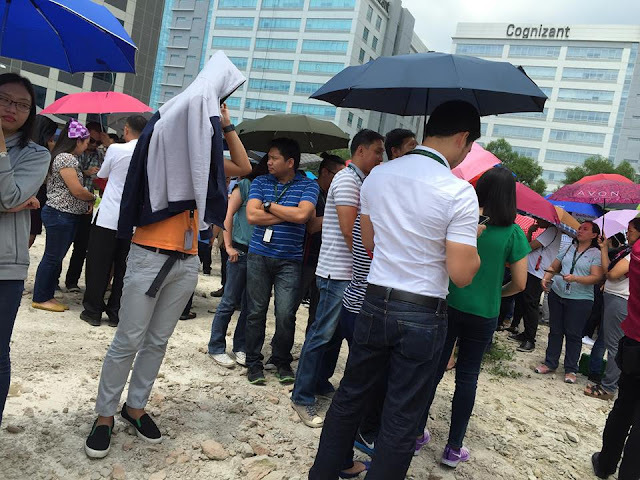 Cognizant - employees evacuated to an open field. 3. 7 - Leaders demo was done during the drill. Kudos to those companies that ensures the safety of its employees. What was your experience during shake drill? Let us know via the comments section. 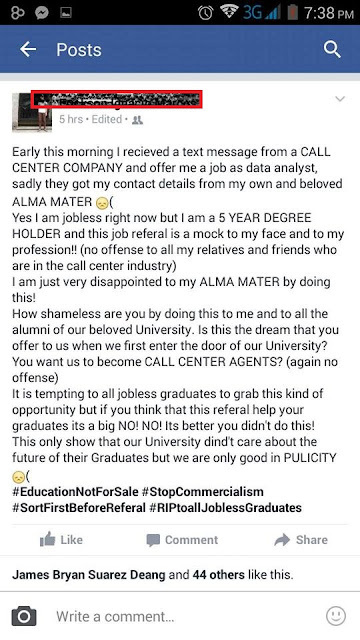 A jobless fresh graduate of a 5 year course got disappointed with his Alma Mater for being referred in a call center. It appears that the Facebook user laments that his University wants its graduates to become call center agents. Early this morning I received a text message from a CALL CENTER COMPANY and offer me a job as data analyst, sadly they got my contact details from my own and beloved ALMA MATER. Yes I am jobless right now but I am a 5 YEAR DEGREE HOLDER and this job referral is a mock to my face and to my profession!! (no offense to all my relatives and friends who are in the call center industry). I am just very disappointed to my ALMA MATER by doing this! It is tempting to all jobless graduates to grab this kind of opportunity but if you think that this referral help your graduates it’s a big NO! NO! Its better you didn’t do this! As a call center employee, reading his post did not offend me at all, simply because the kid doesn’t know what he’s talking about. 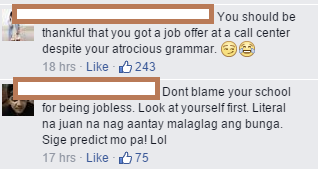 I was upset because there are a lot of young “smart” people out there who would prefer to be jobless and rely on their parents than work in a call center. Sometimes, a high school graduate or a college undergraduate working in the BPO industry is way better than a college graduate who thinks that working in the BPO industry is a dead end job. Below are the reactions from other netizens. Credits to Jiro's FB account for the photos. Thinking of a work from home setup? Working from home means having more time with the family, but you have to consider your kids, background noises (dogs, tricycle, videoke) and a good home office setup. One of the most important thing to invest in is your internet connection. 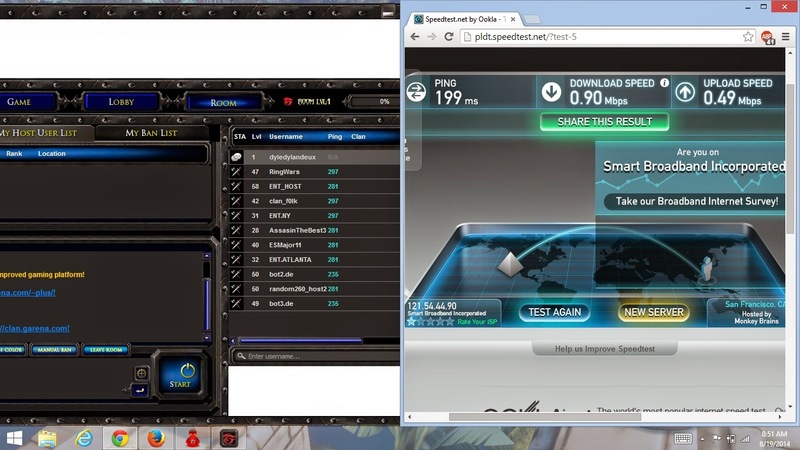 Let me share my experience on PLDT uLTEra, after 25 months of usage of theSmart Bro Canopy plan 999 or PLDT Home Bro I can say that I’m quite satisfied with the service since I get a constant speed of almost 2Mbps download plus upload and a friend is also using the same connection for his work from home office. As part of their retention service PLDT offered a free upgrade to PLDT Home Bro Ultera. So what do I got after the upgrade? 1. Free installation and activation fee. 2. 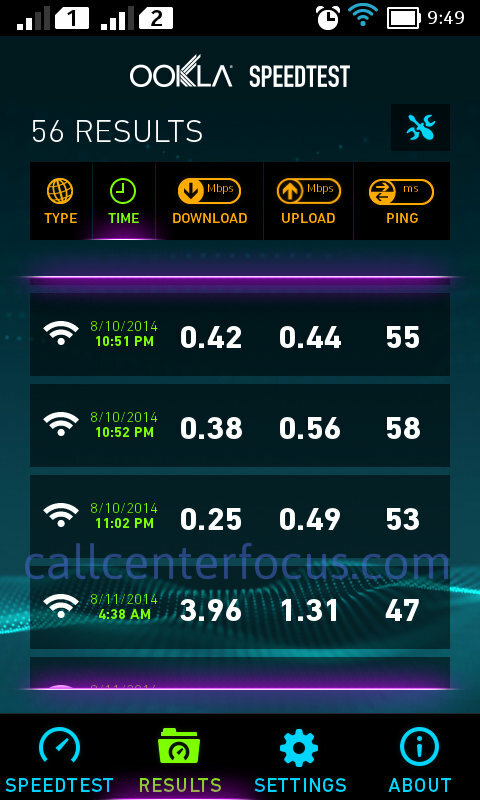 3Mbps of High-speed LTE service. 3. I could still keep my SmartBro/HomeBro Canopy till I fully use the PLDT Ultera. Just like everybody else the first thing that I did was to run a speed test. Wow! I was impressed with 5.03 Mbps Download and 2.00Mbps Upload speeds the 270ms ping is acceptable since Bayantel was the speedtest server provider and it was automatically picked by Ookla based on location. I think I'm getting my money's worth since my speed is above 3Mbps. Now here's the catch, (10GB Recommended usage for optimum speed ) according to PLDT Ultera service you need to maintain 10GB of data per month to keep on getting the 3Mbps speed. So let's compute the daily cap that's 10,000mb / 30 days, you get 333 mb/day. Once you reach the daily cap of 333Mb which is equivalent to an estimate 1 hour of youtube video at 480p or an hour of movie compressed by yify, your speed may drop to 30%. So I let my kid watch his favorite videos(Pocoyo, Peppa Pig and Elmo's World) in Youtube till we reach the daily cap then I ran another speed test. So my 3Mbps connection is now capped to 30% of it's original speed, my internet connection has dropped to 1.08Mbps download and 0.83Mbps upload which I think is sufficient for watching 240p Youtube video streams. 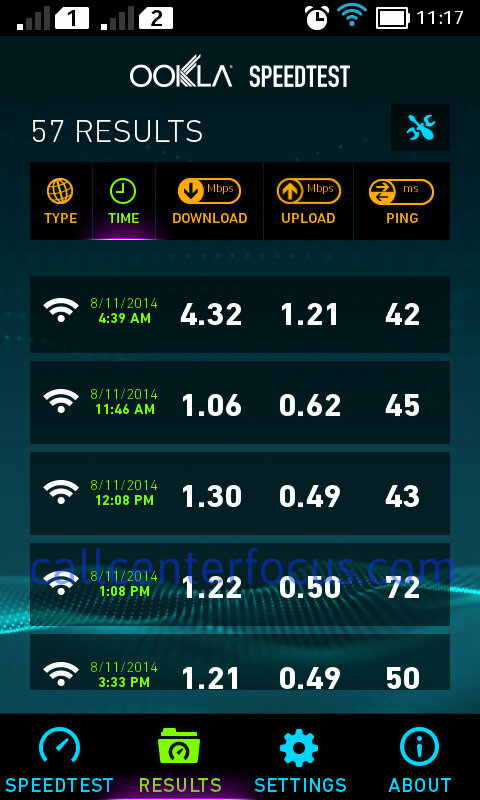 Another fine print is minimum speeds of 256 kbps at 85% reliability. This is what bothers me because as a subscriber of PLDT, SMART HomeBro uLTEra you can't have any privilege to complain about the speed since it is stated on the fine print. So I decided to test the connection further by letting my kid watch more videos in Youtube. Congratulations!!! I got 256 kbps, a high speed internet way back year 2000. 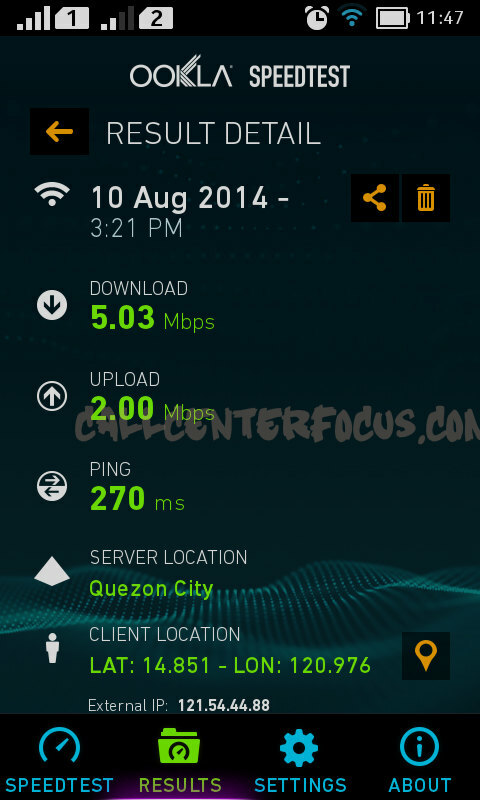 For other PLDT Ultera plans like 1,599 (1,299 only if you upgrade from Smart Bro) you will get. Minimum speeds of 256 kbps at 85% reliability. For PLDT Ultera plan 1,999 (1,699 only if you upgrade from Smart Bro) you will get. Also, you can get constant disconnections because the modem can't detect a signal, which can be resolved by power cycling the modem (removing the power cable at the back and connecting it back) . 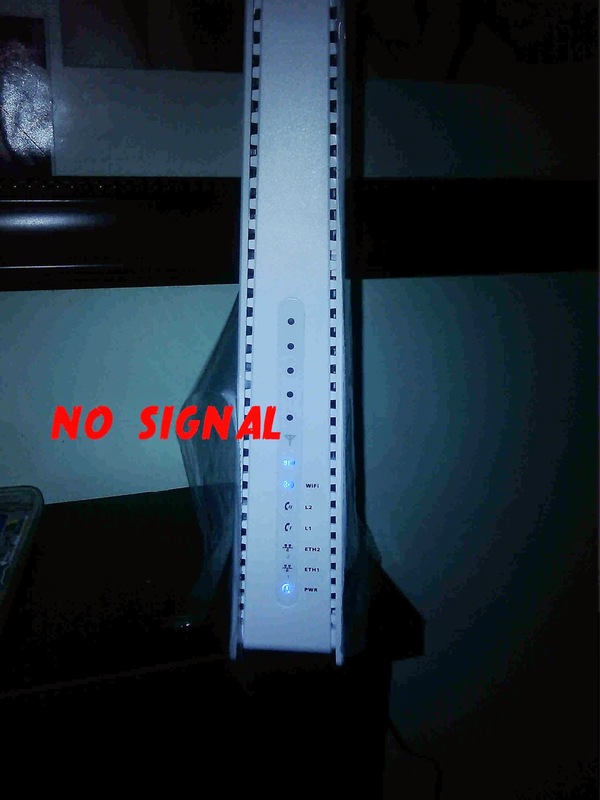 Avoid this modem with Model ID : WLTFSR-115GN ask your agent if you can get a modem with external antenna. FROM comment 8/17/2014 @ 6:43AM and 8/17/2014 @ 7:25 PM: If this is a daily cap then try to use up the cap in the early morning then test the post cap speed in the morning. I have read in tipid pc that the cap gets reset at 4:00am the next day so the screenshot above confirms it. Since my cap has been reset I should be getting the same speed all day given that I won't be hitting the 333mb/day cap. So before going to sleep I played a Pocoyo video playlist in Youtube which consists of 17 videos at 25 minutes each. Based on the screenshot above the test at 11:00AM shows that I have reached my daily cap. 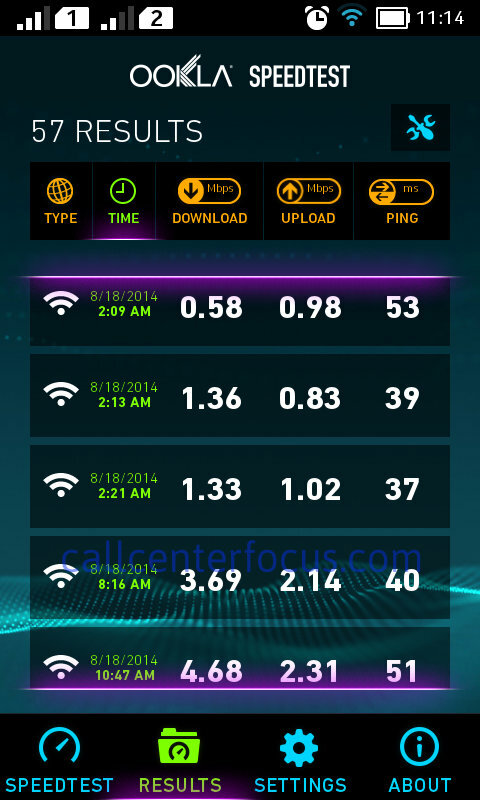 As of this time 8/18/2014 at 11:00 AM I'm not yet capped so I'm getting a great speed. you can see that at 2:21 AM my cap has not yet been refreshed so this would be a good proof as well that the cap gets refreshed at 4:00 AM the next test was performed @ 8:14 AM and I was getting amazing results. I downloaded Garena to check the ping from other players. 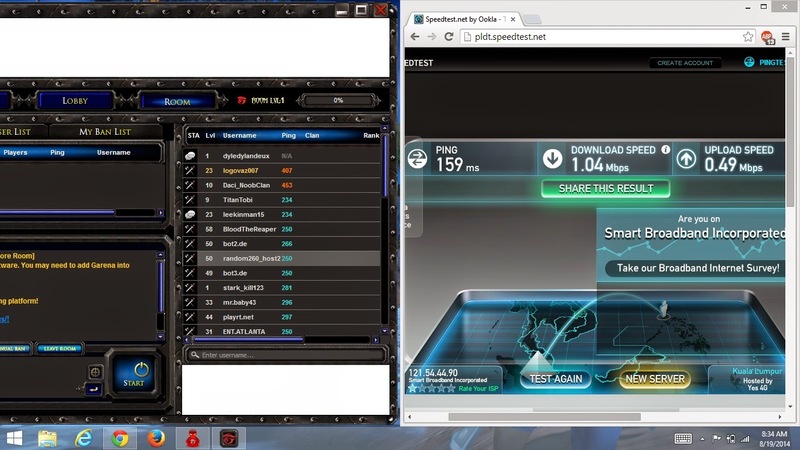 The screenshot above is from Singapore room and the ping from other players are above 200 on the right side is a speed test for a server located in Malaysia. Above is the USA room and the ping from other players is also above 200 on the right side is a speed test for a server located in San Francisco. I got 41ms with server from Makati City and on the left side you can see that my signal is 5 bars not bad because I have an indoor router/modem. 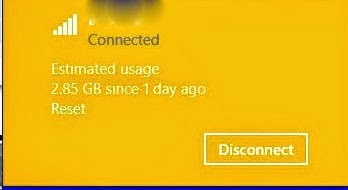 I can monitor if I'm capped by enabling the metered connection option in Windows 8 since it gives an estimated usage of your internet connection. 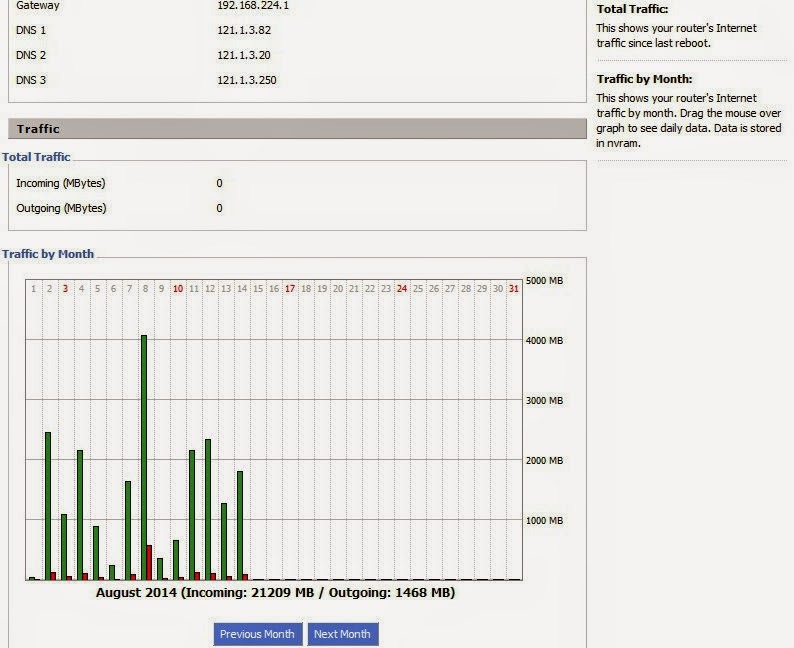 On the Home Bro Canopy I can monitor the status of capping from my Dlink-router which had a DD-WRT firmware. I can get as high as 4Gb utilization per day and not being capped for the day, but once I hit 30Gb the speed will go down to 256kbps. Note: PLDT won't tell you how much the cap is for the PLDT Home Bro Canopy because they are marketing it as "UNLIMITED" it looks though that the cap is 30Gb monthly. Connect to your modem using wired or wireless connection. Once connected, open up a browser then type 192.168.15.1. The recent trip to SM North Edsa PLDT customer service did not end out well because they can't process my request of cancelling the uLTEra also, going back to the Canopy is not an option as well because the Canopy has been fully terminated. 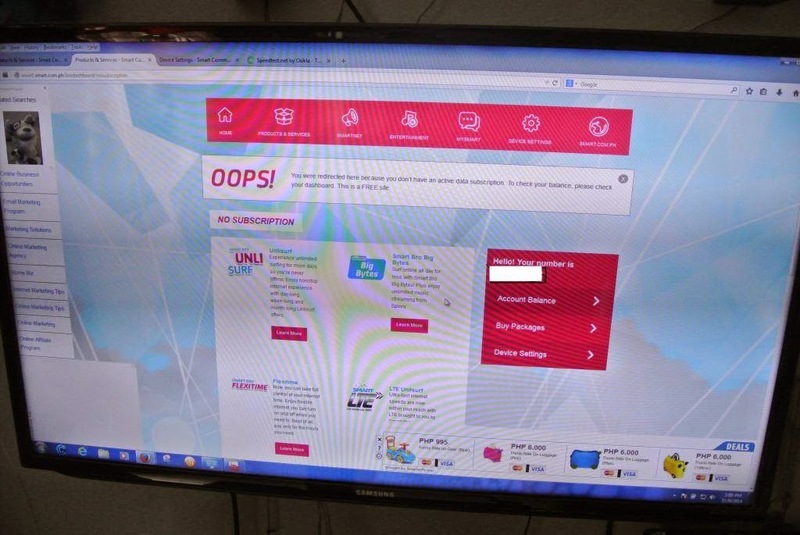 Aside from that, PLDT customer service can't process my request of upgrading the connection to plan 1299 because the product is new and they are not yet trained for it. 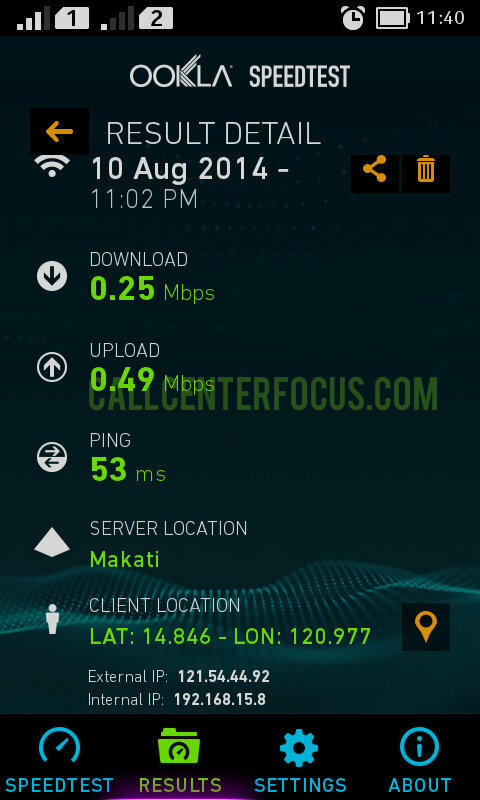 According to the PLDT customer service the system does not allow upgrading at this time. I guess I'm trapped in this situation for the next 24 months. Don't believe the Field Sales Technician, they would tell you that you need to upgrade to Ultera because the Canopy will be phased out PLDT sent out SMS blasts to subscribers that Canopy will be phased out by 2016. I was not at home that time when the Field Sales Technician offered the upgrade to my wife (she's the account holder). Being worried about the Canopy phase out she had no choice but to say yes. 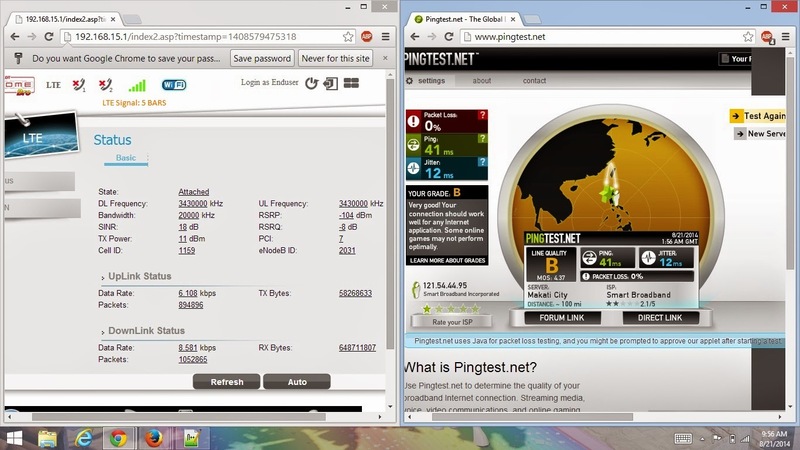 Test and monitor your internet connection. If you are not satisfied immediately call *1888 and connect to customer service tell them that you want the Ultera cancelled and ask for a reference number. Don't believe the CSR rep if he/she will tell you that the Canopy will be retained because it will be deactivated within 5 days. Within 24 hours immediately go to the nearest PLDT Customer Service office to inform them that you want the Ultera cancelled provide the reference number from your phone call. Don't forget to bring the latest bill and ID. If you are not the account holder you need to create an authorization letter. Act immediately because once a request for a Canopy disconnection has been processed you might have a hard time to revert back and your next bill will have a prorated charges for the Ultera. I'm saying goodbye to my work from home dreams for now because most of the ISP's in the Philippines has enabled capping on wireless networks which is pretty sad because, wireless networks should be an alternative for areas that are not accessible to wired networks. My next post will be a comparison of the speed test for uLTEra and Canopy. I tried to connect a SMARTBro LTE sim on my Ultera and it's working. I'll be creating a review about it and for a teaser, once you put in a SmarBro LTE Prepaid sim you will be redirected to the dashboard from there you can choose the Plan that you want like 50 pesos unlisurf, this might be an alternate solution.